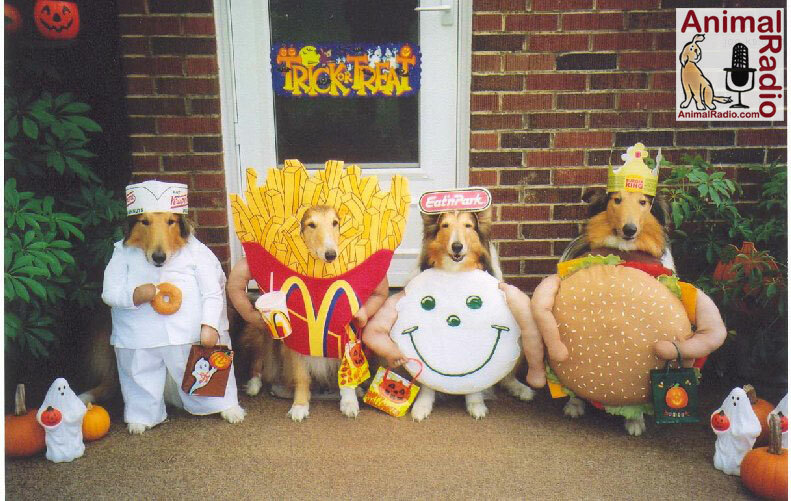 Keep sending those Halloween Costume Pix! People speak English, Spanish or any other human language. Vladae speaks five languages and one of them is "doglish." People all over Michigan and beyond call him "The Russian Dog Wizard," a miracle worker or just "Vladae911" because he is able to help with their dogs, when others fail. Vladae is the grandson of the former USSR chief biologist who was conducting Pavlov-type research on farm animals. As a child, Vladae spent a lot of time playing, observing and working with his grandfather's animals. His first real teacher, who was absolutely mute, revealed his secret of dog talk to Vladae. Vladae, who has worked with dogs in other countries, believes that if you treat your dog like a human, your dog will treat you as a dog. He states it is very important to be the dominant one when owning a dog. And when you take your dog for a walk, you should walk the dog instead of the dog walking you. Vladae has just released "Obedience for Life" a dog-training program available on two interactive DVDs. You can quickly and easily teach your dog how to obey you with the affective methods that deliver astonishing results. When a 7-year old girl from Ohio won a free 8-pound lobster from a local grocery store, she convinced her parents to set it free. That was the goal when Myranda Hutchinson first saw the lobster she eventually named Bubba. After winning Bubba, Myranda's family contacted several zoos and aquariums to see if they would take him. No one offered to take Bubba, but an aquarium curator called back and said he would get Bubba to a diver in Maine, who agreed to find Bubba a home off the Atlantic coast. It costs $280 to have Bubba shipped, but it is illegal for a lobster the size of Bubba to be caught in Maine, so Bubba should be safe as long as he stays in Maine waters. You've Got Questions? Dr. Marty Becker Has Answers! Do Cats Always Land on Their Feet? 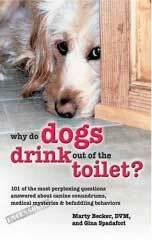 & Why Do Dogs Drink Out of the Toilet? While we all know it's a fact that cats rule the household, there are many facts people don't know about their feline friends, and they're here for the revealing. 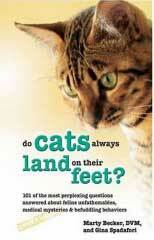 Dr. Marty Becker and syndicated columnist Gina Spadafori, compile the best questions they've ever received from readers and fans to give people the skinny on things they've never dared to ask about cats but often wondered (or not) like: Do cats always land on their feet? Do cats have nine lives? Why do cats' claws detract? What's the best way to give my cat medicine? Do cats need a good flashlight or can they see fine in the dark? Does my cat nap too much? Why does a cat arch its back? What exactly is in that hairball my cat just coughed up? With an entertaining mix of laugh-out-loud humor and practical information, this is the perfect gift for any cat lover. Animals and the Full Moon: What's In a Name? From wolves to worms, many of the names for the Full Moon every month have been inspired by animals. Discover how our lunar companion reflects the activities of our animal friends. Joy Turner speaks with Tawny who is jealous of foster puppies. She says animals are fully capable of feeling jealousy. Do you know that wounded cats will purr because it helps to heal and strengthen bones and organs? Exposure to similar sound frequencies is known to improve bone density in humans, heal bone fractures and control pain. Purring is believed to have a similar effect to ultra-sound treatment on humans. 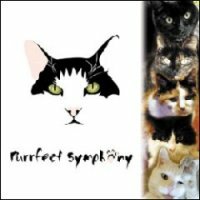 Jeff Moran, a sound therapist and Jack Stewart, a psychotherapist, have put together two great CD's (along with the help of 13 cats) that combine several layers of sound therapy with the sounds of specific purrs that were chosen and mixed with music of various instruments. The sound of cats purring can actually help you to achieve a sense of calm and a deep state of relaxation ­ try it with or without your kitty ­ the results are truly amazing. These CD's can be ordered directly from their website or you can call their toll free line 1-877-CAT-0999. Enrichment is important to a cat's health and happiness. Most cat owners feel if they provide their indoor feline family with good food, plenty of fresh water and routine veterinary care, they'll live happy and healthy full lives. But, cats destined to thrive and not just survive need a lot more says Dr. Tony Buffington, Founder of the Indoor Cat Initiative. 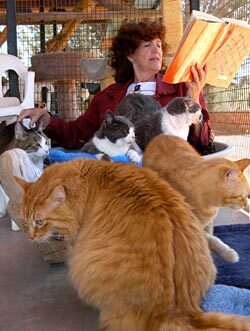 His goal is to enrich the lives of indoor cats. Here are seven things you can do to improve your cat's environment that are proven to decrease your cat's stress and improve its overall health. Author Kate Eldredge, age 15, knows what it takes for a kid to raise and train a dog-she's been parenting pooches since she was 7. It's a big responsibility, but it has awesome rewards (besides all those wet, slobbery kisses). When you're your dog's caregiver, provider, and trainer, your dog will be your loyal playmate, protector, and confidant for life! In this book, Kate gives you the scoop on everything from choosing the right dog for your family to dealing with health problems. Kate's mom, Debra M. Eldredge, DVM, also provides valuable information. A "For Parents Only" section at the end of each chapter tells adults how they can help without taking over. Kate has won two Maxwell Awards from the Dog Writers Association of America and is a columnist for The Corgi Cryer, agilityaction.com, and Dogs in Review. Kate has successfully competed with her dogs in 4-H, junior showmanship, conformation, obedience, rally, agility, herding, tracking, backpacking, and freestyle. Mike Fry talks gay animals. Gay animals have been kept in the closets, jungles and forests by field biologists who were fearful of publishing their observations on this delicate subject. Some of the animals observed were grizzly bears, gorillas, flamingos, owls and even several species of salmon. Lucky Litter LLC, maker of the ScoopFree automatic litter box that you can leave alone for up to 30 days per cat, and Animal Radio® are marking the Halloween season by kicking off a contest seeking the best "horror story" in which your cat lost one of his nine lives. "This contest is in the playful spirit of the scary stories told around the campfire," said Alan J. Cook, president of Lucky Litter. "We want to hear your favorite story on how your feline proved that cats indeed have nine lives." 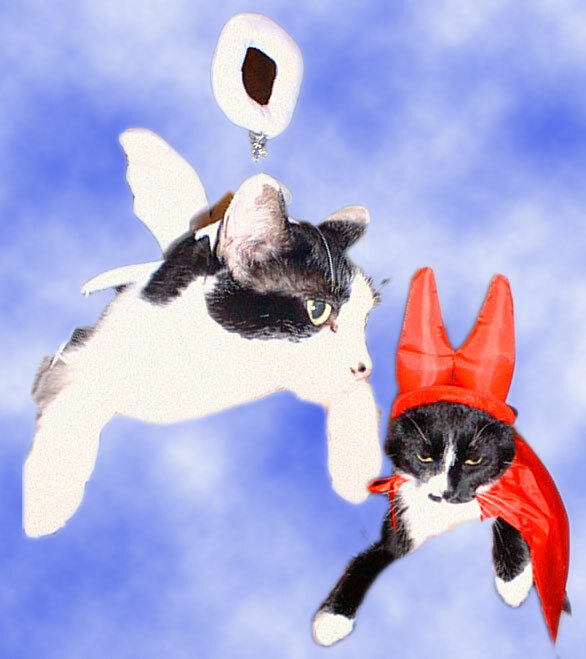 Share your cat's story and enter the contest, which runs through Oct. 31, by visiting www.scoopfree.com/contest. Please include a picture of you and your cat with your entry. Winners, to be announced by Nov. 17, will receive a free ScoopFree automatic litter box or a case of six ScoopFree Litter Tray Cartridges if they already own a ScoopFree. The contest is not valid where prohibited by law. Listen to the 1st Hour ABRIDGED VERSION Podcast of this show (#361). View Animal Radio Network® Broadcast Schedule in a new window.